MY Indonesian friend, Livinda, was in KL over the weekend for a visit, so I was busy playing tour guide around the city. We went to Batu Caves in the morning, and on our way back, we passed by the National Museum (Muzium Negara) along Jalan Damansara and decided to stop by for a bit. The impressive-looking building, built in the Minangkabau Rumah Gadang, can be seen from the highway. Its colourful facade is influenced by traditional Malay art and modern features. The museum opened its doors to the public on Aug 31 1963, the sixth anniversary of our Independence day, and was officiated by our first Prime Minister, the late Tunku Abdul Rahman. On the outside, visitors get to seevarious modes of transport, from an old train carriage, a modern chopper, our first national car the Proton Saga, to bullock cards, trishaws, etc. Entry is RM2 for Malaysian citizens and RM5 for non-Malaysians. 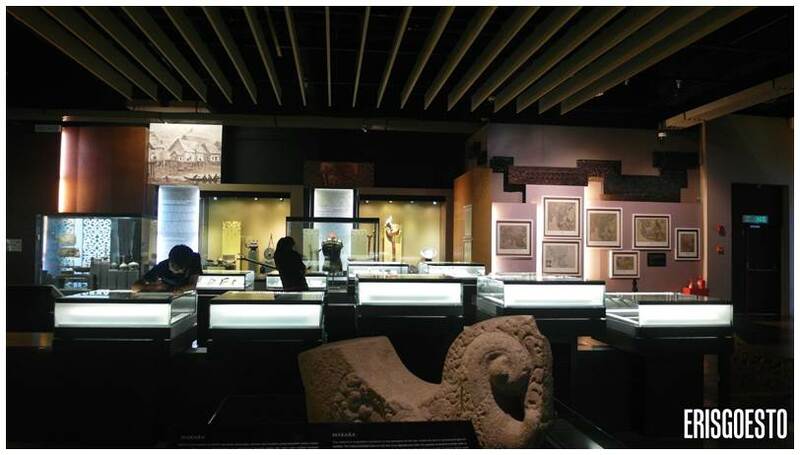 Spanning two floors, there are four sections arranged in chronological order, from the early days of human habitation in the Mesolithic era, the bronze age and then on to the early Malay kingdoms, such as Champa (south Vietnam) and Langkasuka (now Kedah) from the 2nd to 14th century. 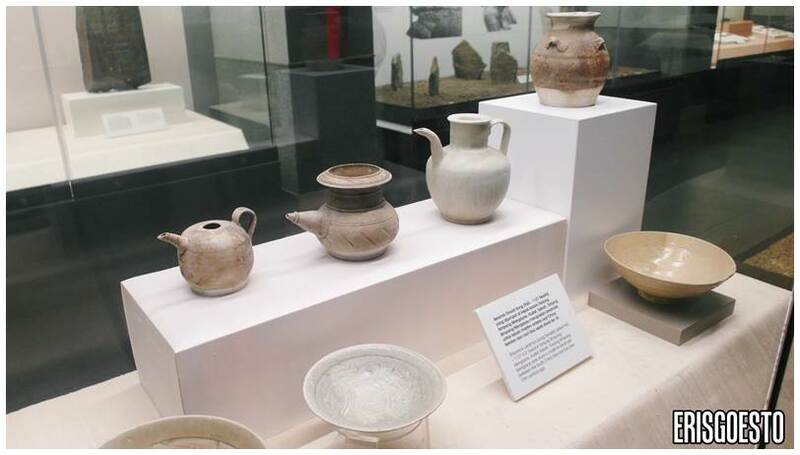 Under the mighty Indonesian kingdom of Srivijaya, Hinduism was prevalent and was a major religion in the region – reflected from the remains of many pottery items recovered from archaeological sites. (Above right) Cowrie shell necklaces were a form of jewellery for women in ancient days, before the discovery of precious gems or ore. 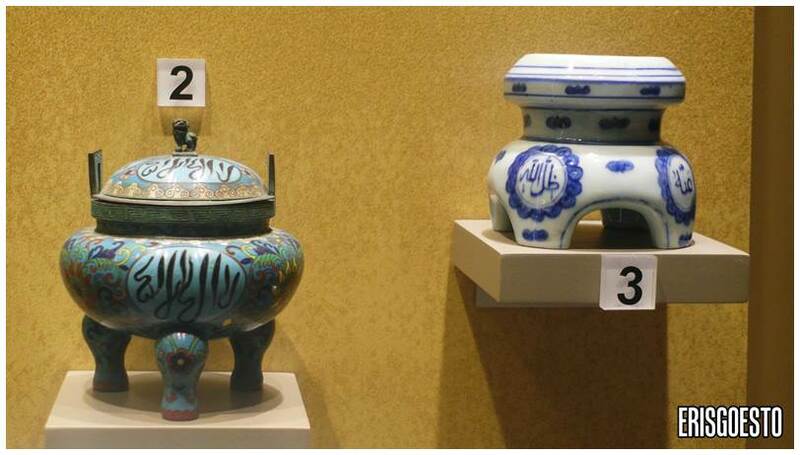 Some well-preserved pots from a the early Malay kingdoms. There were also exhibits on primitive and bronze age tools. These were mostly shards or oddly shaped rocks. 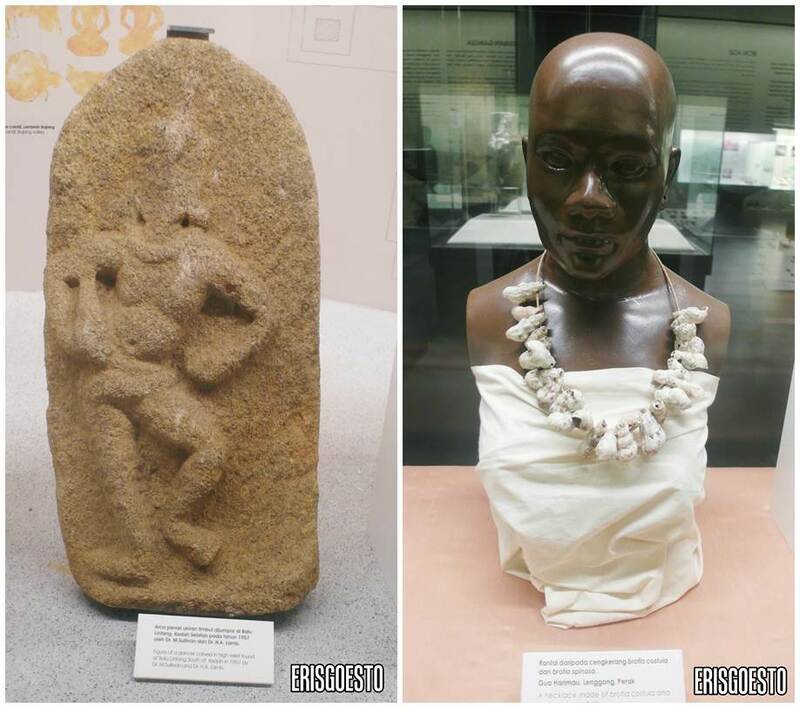 There was also a replica of the Perak man, which was one of the earliest human remains to be found in Malaysia (dating back to 400,000 years old). 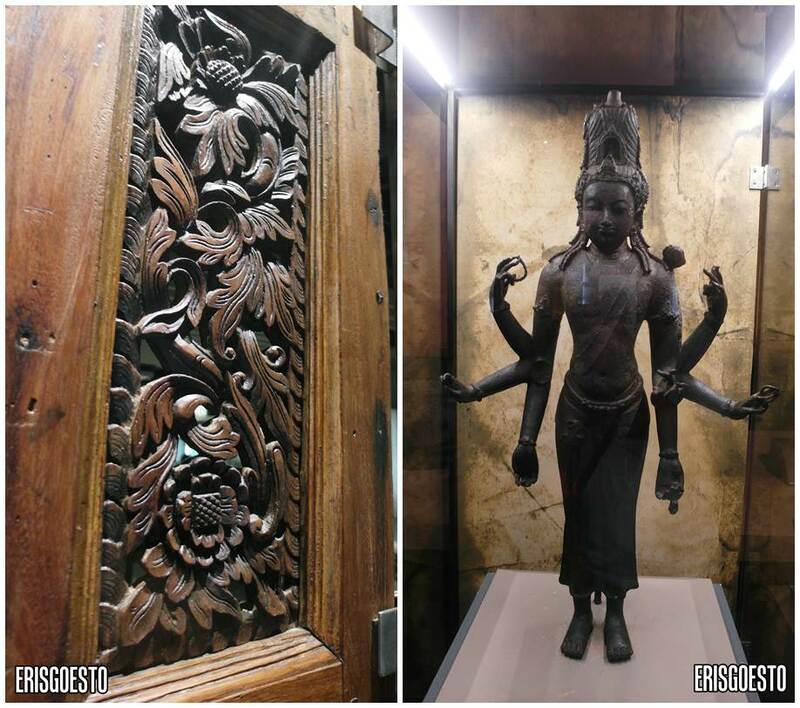 (Left) traditional door carvings, (Right) Statuette of a Hindu deity. The next section chronicles the heyday of the Malay kingdoms from the 13th century onwards, when Islam was brought to the region by traders. One of the most important ports was Malacca (Melaka), which was located smack in the middle of the trading route between East and West. Malacca was founded by an Indonesian prince from Palembang, Parameswara, who used to rule over Temasek (now Singapore) but fled due to an invasion by a neighbouring kindgom. 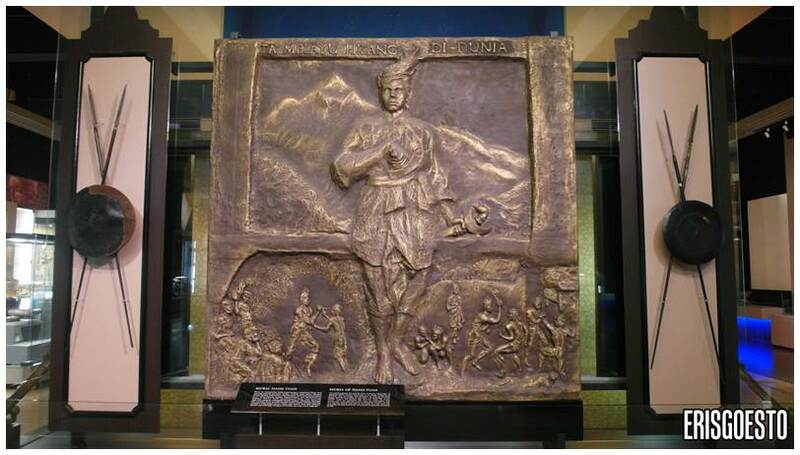 He landed on the shores of Melaka in the early 1400s. There’s an interesting legend about how Parameswara was resting under a Pokok Melaka (hence the name!) and was surprised to see a small animal, the kijang (mousedeer) kicking one of his hunting dogs into the river when the latter attempted to attack it. Parameswara thought that the animal, despite being so small in size, could courageously defeat a much bigger hunting dog – surely a good omen that he should start a kingdom here. 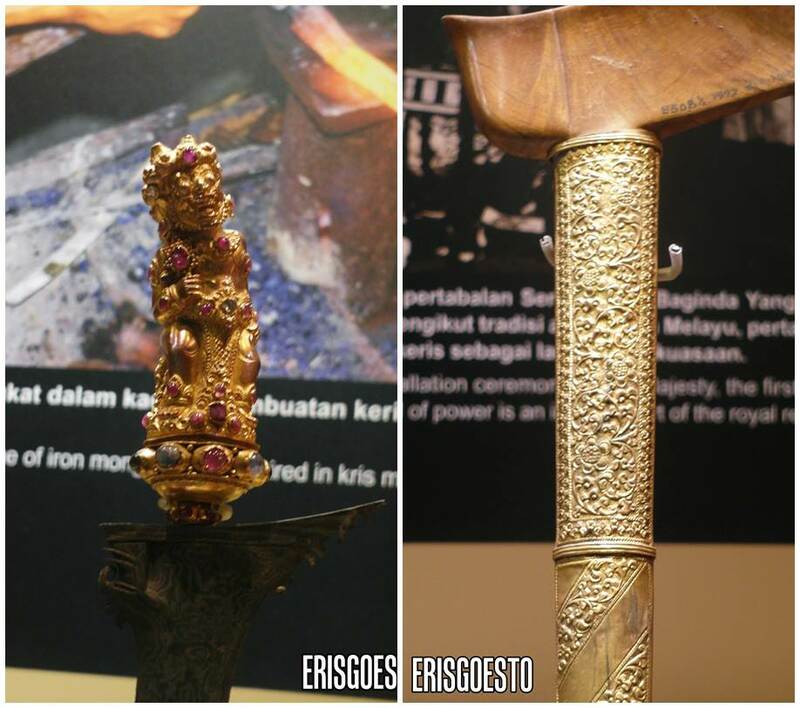 Ornate keris (an old Malay blade) with beautiful hilts and scabbards inlaid with gold and jewels. 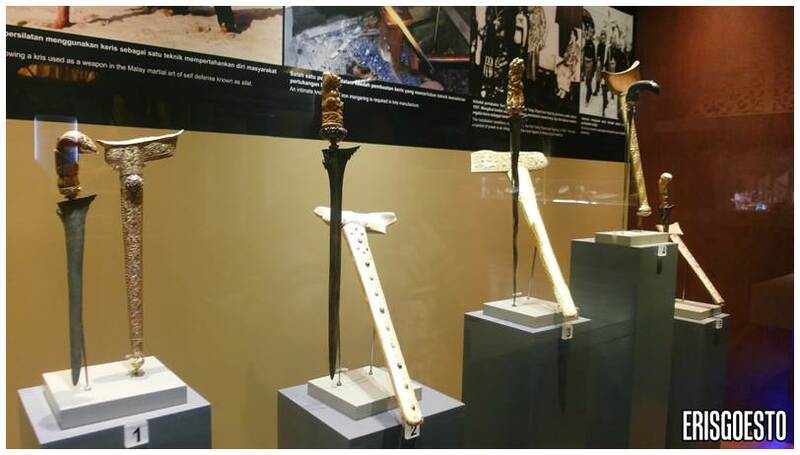 One unique feature of the keris is their long, curvy blades, which was designed in such a way as to inflict maximum damage to opponents by ripping their guts out instead of just slicing through flesh. 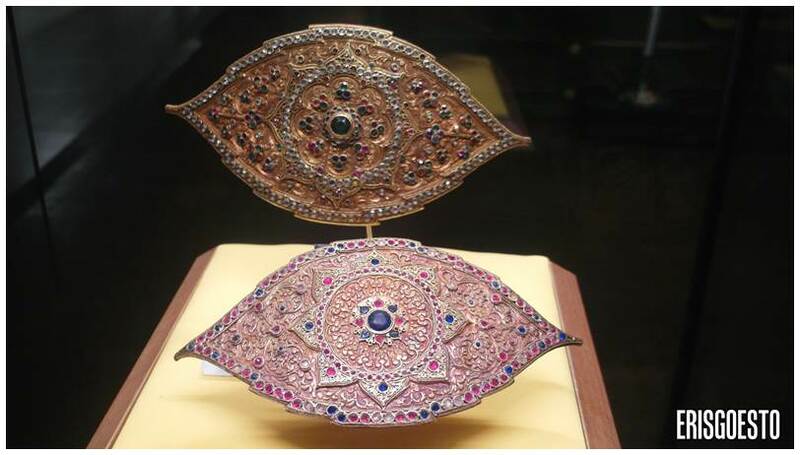 One look at the excellent craftsmanship and you’ll know that the kingdom was a powerful and rich one, to have such highly skilled artisans at their deploy. Even their clogs are painted and have exquisite decorations. 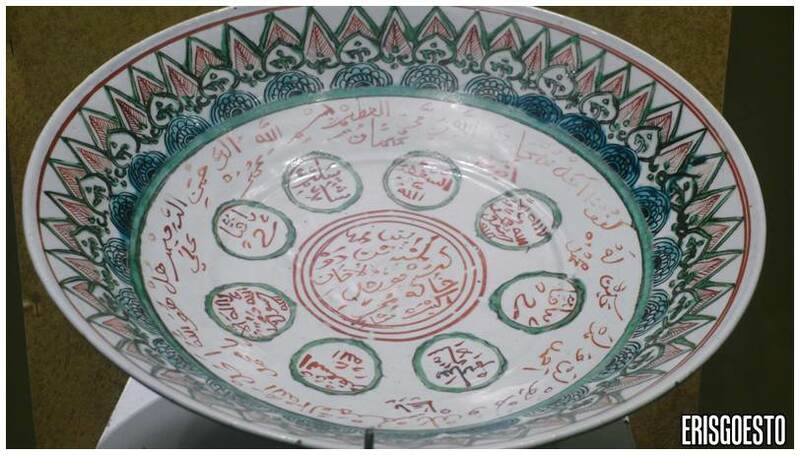 Malacca was a center for the propagation of Islam, and this is reflected from the later pottery works that feature Arabic elements. 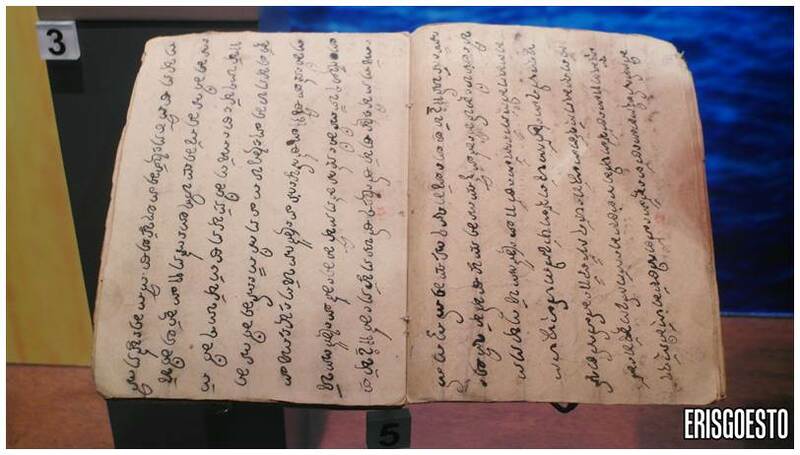 Malacca’s trading partners went so far as China, where their good relations even merited a royal marriage between the fifth Sultan of Melaka, Sultan Mansur Shah, and the Chinese princess Hang Li Po as fifth consort. 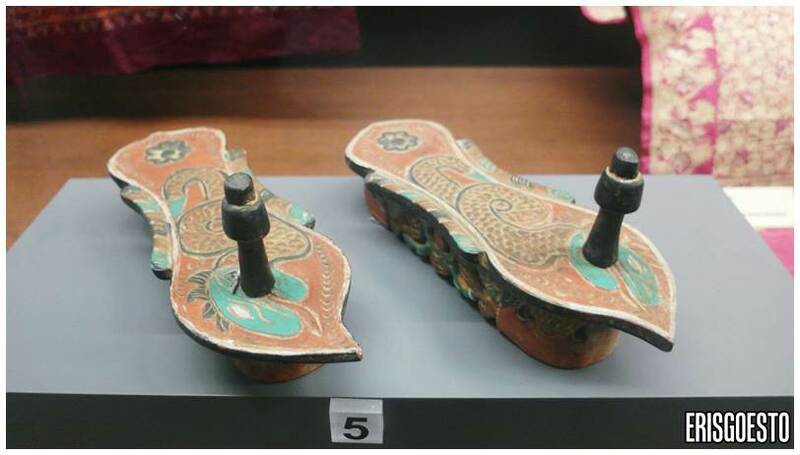 It was said that the Peranakan (Straits Chinese) are descended from Hang Li Po’s entourage of 500 servants who intermarried with the locals. 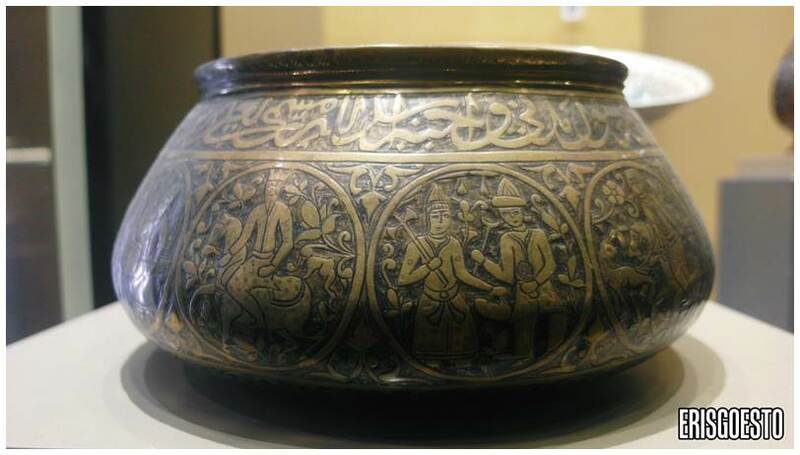 (Right) A Ming vase of china with Arabic inscriptions. The royal throne. 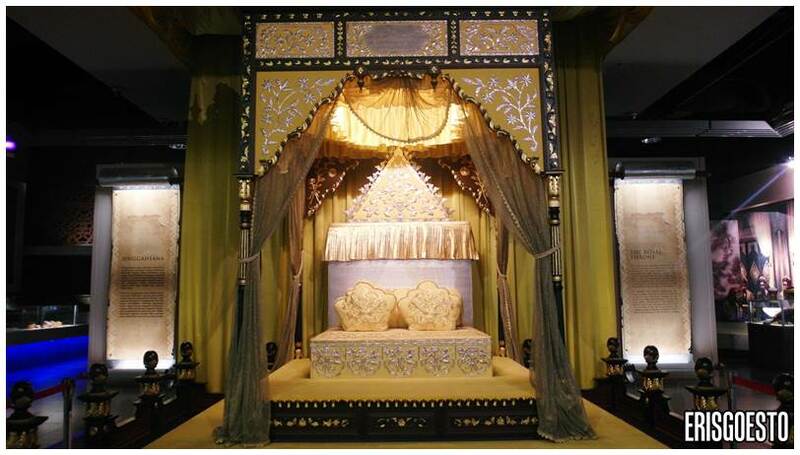 Yellow is the colour of royalty in Malaysia. A tapestry featuring Hang Tuah, a legendary Malay warrior. 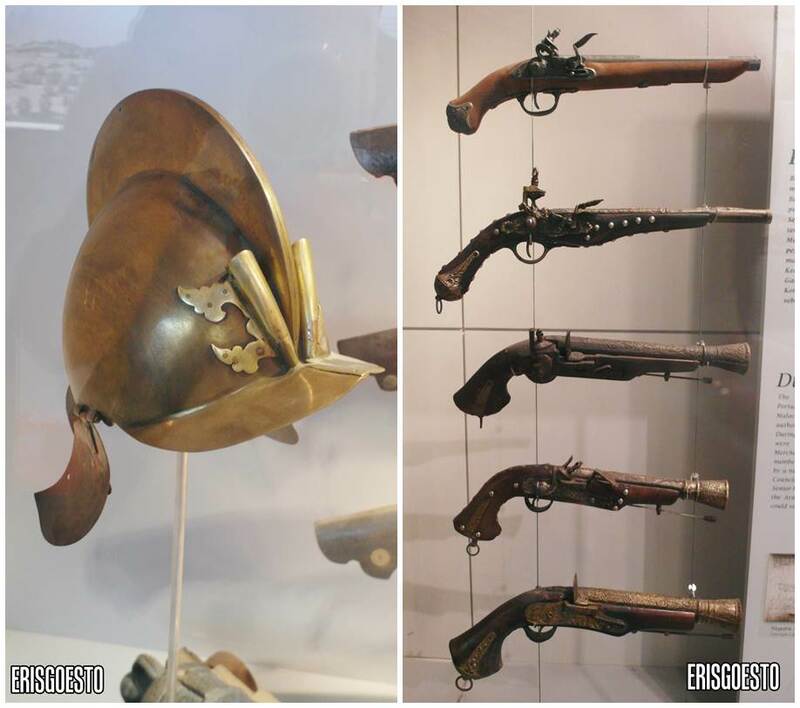 Moving on to the colonial exhibition, where various artifacts from the our former Portuguese, Dutch and British masters were on display, along with replicas of structures they have left behind in old Malaya – A’Famosa (Portuguese), Stadhuys (Dutch) and Fort Cornwallis (English). 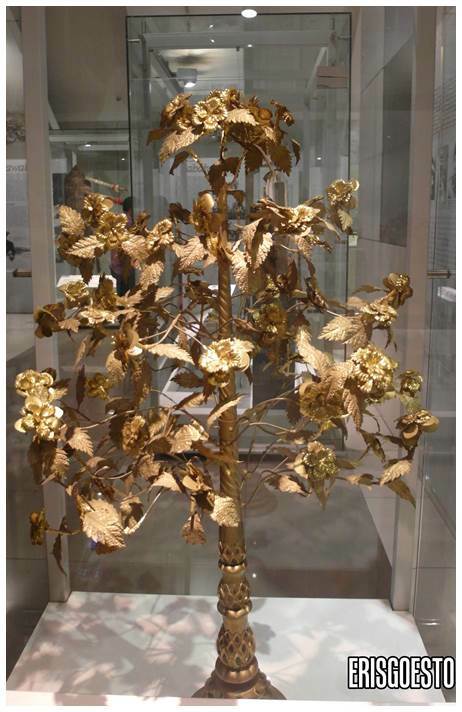 A ‘pokok mas’ (gold tree), which is an ‘ufti’ (gift) presented to neighbouring kingdoms by the Sultanate of Malacca as a gesture of friendship – A testament to how rich and glorious the kingdom was, that they could afford to produce something like this. 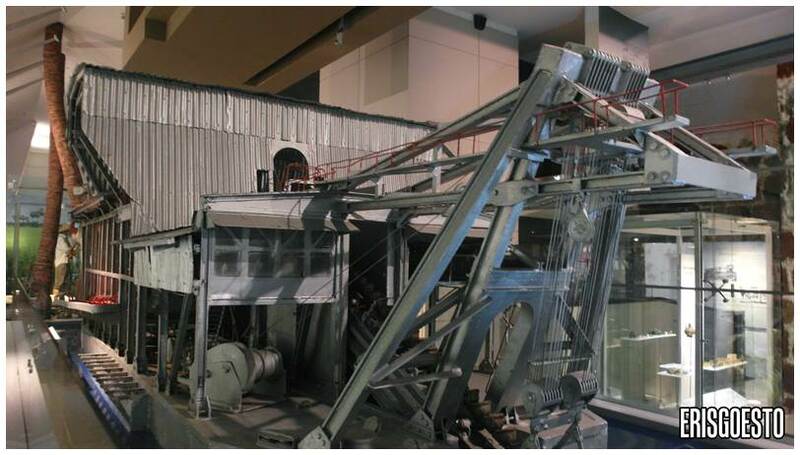 Replica of a tin dredge, which is a large machine-like structure that digs and processes tin ore – a valuable mineral that was exploited by the British during their conquest here. Many Chinese immigrants were brought into Malaya to work in tin mines… and that is partly how Malaysia has one of the largest overseas Chinese population in the world today. 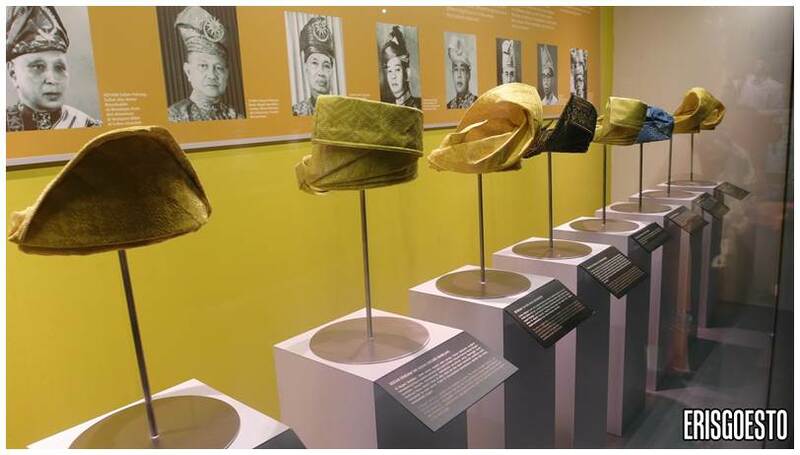 A display dedicated to the various ‘tengkolok’, which are elaborately folded hats worn by our Sultans. Each one differs according to the different states. They have names like ‘Dendam Tak Sudah’ , Ayam Patah Kepak and Sekelungsung Bunga. 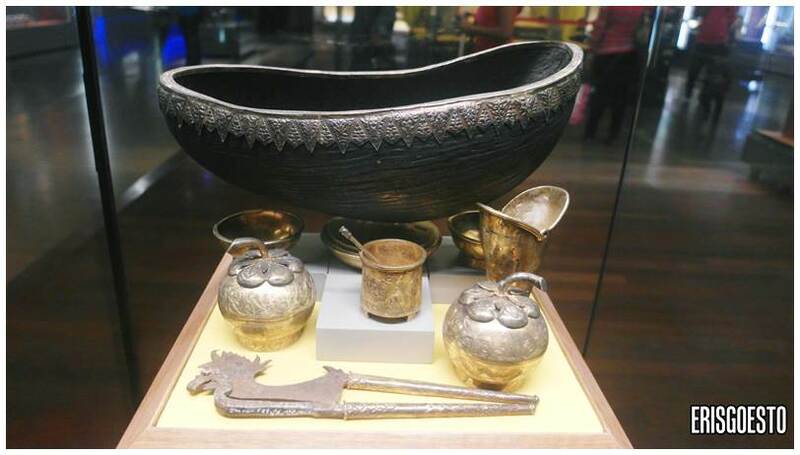 The National Museum is worth the cheap entry fee and a few hours of sightseeing, so do drop by if you’re in KL! We also went to Central Market and Petaling Street for some souvenir shopping, but I didn’t take any photos of that coz I was too busy avoiding the guy from the Native American shop there… lol. Our last stop for the day was, of course, the iconic Petronas Twin Towers – coz you can’t come to KL without at least one photo with it As a local, I guess I got desensitised seeing it every other day, but I can see why tourists think of it as a marvel. 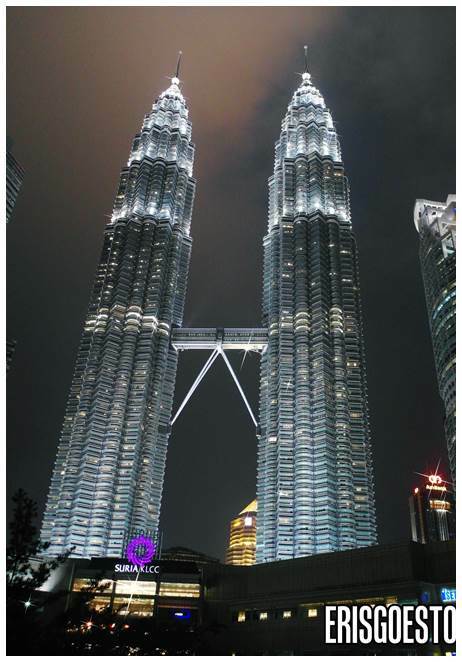 It rises up intimidatingly in the day, a marker of Malaysia’s progress towards modernity , and at night it’s a pair of towering bastions sparkling with lights against the night sky. It was a really great day and I’m glad that I finally got to meet Liv in person. I think she’s just as nice as how she is when we’re chatting online. I love the Twin Towers. I don’t know what exactly fascinates me so much about it but it sure is beautiful. Glad you had a great meet-up! Some really interesting artefacts here!! !